Hutan Harapan is an ecosystem restoration concession (ERC) covering 98,000 hectares of formerly commercially logged lowland tropical forest in central-south Sumatra, Indonesia. 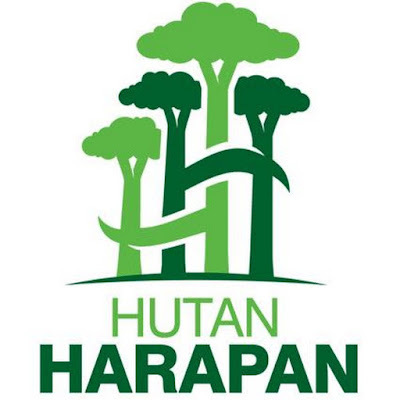 Hutan Harapan is rich in biodiversity and an important habitat for 26 endangered and critically endangered species. Hutan Harapan is also important for 228 Batin Sembilan families who live in and depend on the forest for small scale swidden agriculture, gathering non-timber forest products (NTFPs), rubber tapping and hunting. In addition, approximately 14,158 people live in six villages that are located within 10 km of the concession boundary. They interact with the forest through gathering NTFPs or are dependent on it for its ecosystem services. A potential commodity to be developed in HH is rattan. Rattan is used to make goods such as furniture for national and international markets. Rattans are generally lightweight, durable and to a certain extent, flexible. Because of its flexibility and its long stems of great strength, rattan is a primary binding material. In its unsplit form, it is used to provide structural support in furniture and construction. Once split, rattan has a great variety of uses, including weaving into mats and baskets of all sizes and shapes and to make furniture. Rattan grows in many parts of Hutan Harapan, often deep in the forest and therefore it not easily located. It is however still collected by the indigenous Batin Sembilan forest people who then sell it to middlemen. In 2015, Hutan Harapan piloted a rattan processing project during which rattan was bought from the Batin Sembilan, processed and shipped to Cirebon in central Java. Cirebon is the centre for rattan processing in Indonesia. Although the Batin Sembilan received a higher price for their rattan, HH operated at a loss because the market price for rattan was so low. The pilot only lasted 6 months when seed funding came to an end. Although not financially viable at that time due to low volumes and low prices, this experience allowed HH to develop its processing and marketing skills while building trust with the Batin Sembilan. Given the limited information and analysis of the market potential of rattan in HH, PT REKI would like to conduct an assessment to gain a more comprehensive and in-depth understanding. The assessment will be used to guide its decisions on whether rattan is a viable commodity to be developed in the current market context. To determine if rattan is a good business opportunity for PT REKI. A report and a presentation on the rattan business opportunity assessment. This should include, but is not limited to, information on capital expenditure requirements, financial projections based on different scenarios, SWOT analysis, and potential supply volume from the concession, implementation requirements, and a market analysis. Recommendations to PT REKI on whether the rattan opportunity is viable, and if yes, provide an outline of the possible business model. Indonesian National with good knowledge of and the market potential for rattan in Indonesia.